Considering a spiritual successor to Far Cry 5, set 17 years later, Far Cry New Dawn focuses on characters old and new in a post-apocalyptic setting. 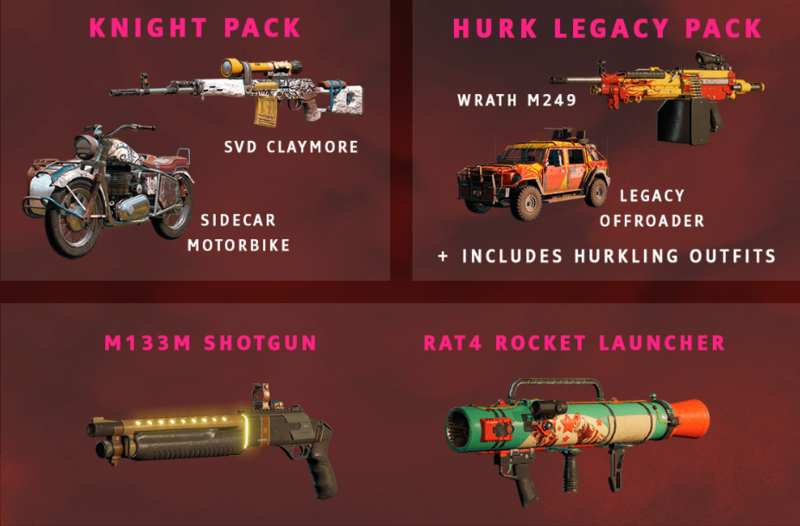 The Deluxe Edition of Far Cry New Dawn comes with The Hurk Legacy Pack, and The Knight Pack, along with unique skins ‘Blast-Off’ RAT4 and Retro Sci-Fi M133M. The Knight Pack will give you a SVD Claymore Sniper Rifle skin and a sidecar motorbike skin with an apocalyptic touch. 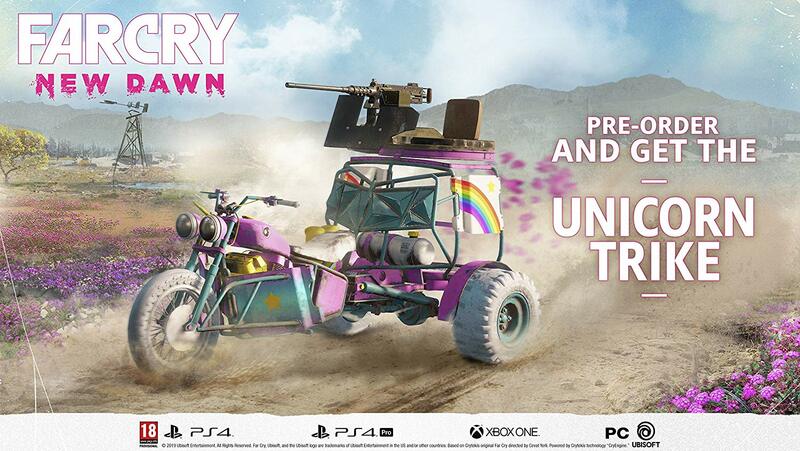 On top of that, you’ll get a Unicorn Trike skin which is just the most suitably ridiculous and awesome thing. There’s also the Hurk Legacy Pack which gives you the Wrath M249 auto rifle, a multicoloured Legacy Offroader, and some Hurkling outfits. And finally a Retro Weapons Pack which gives you the M133M Shotgun and an RAT4 Rocket Launcher. Take a peek at all of them below. Pre-orders are open now for PC, PS4, and Xbox One.